Building a barrel warehouse from the ground up is an involved task. This project broke ground at the start of 2015. We will document the construction process of the barrel warehouse (a.k.a. future home to many happy barrels of whiskey) on this page. Please check back to check on our progress! It has been a while since the last post, and the building is beginning to wrap up. 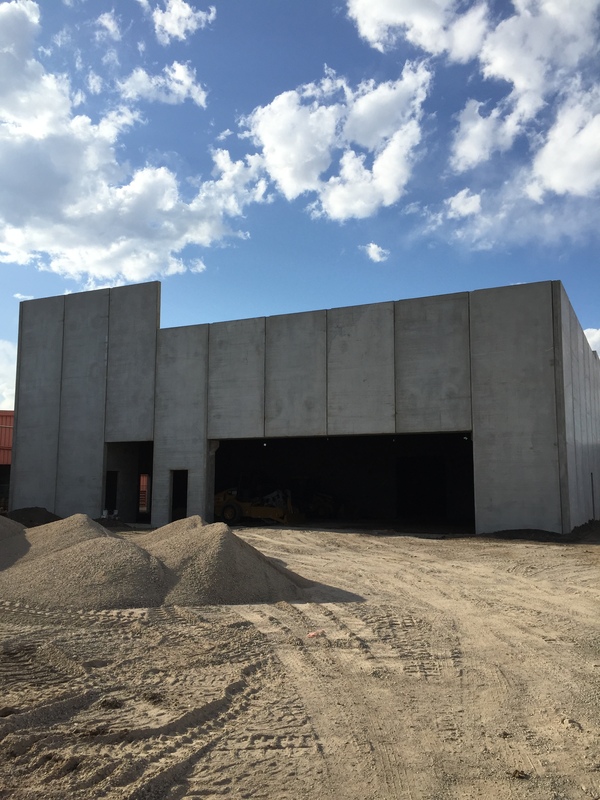 Manual doors & overhead doors are in & the mezzanine slab has been poured. Next step…Stairs! This trench drain in the alley will help to better drain water in the alley. It is also heated under the slab to prevent ice build up in the winter. This will make for a nice and dry surface for what will be a heavily used area between the existing distillery on the right and the new barrel storage facility on the left. The alleyway is being poured. Sprinkler & Roof Drain piping, New storm drain/ trench drain in the alleyway, along with heating lines to keep ice thawed in the winter! A lot has been progressing. Here is the electrical room , ductwork, & sprinkler lines going in. The floor slab has been poured! We have been very busy laying underground piping, but we are close to being done. Then onto backfill and pouring the floor slab. These photos show underground conduits going to a vault under the electrical room. Lots of dirt is being moved around to prepare for the slab to be poured. Light shines inbetween the roof panels before the roof is on. Holes are drilled in the roof for HVAC equipment and roof drains. The precast is now complete! Most of the precast walls and roof are up! Things are snowy in Denver but chugging along. Erection of the precast walls, columns, and double-tee roof are in full swing. The Crane is being set up and the foundation is looking good. It’s a snowy day on the jobsite, but the work must go on. Over the past few days, the concrete foundation has been poured. Forms were pulled off today revealing the foundation. We now have an official jobsite sign too! 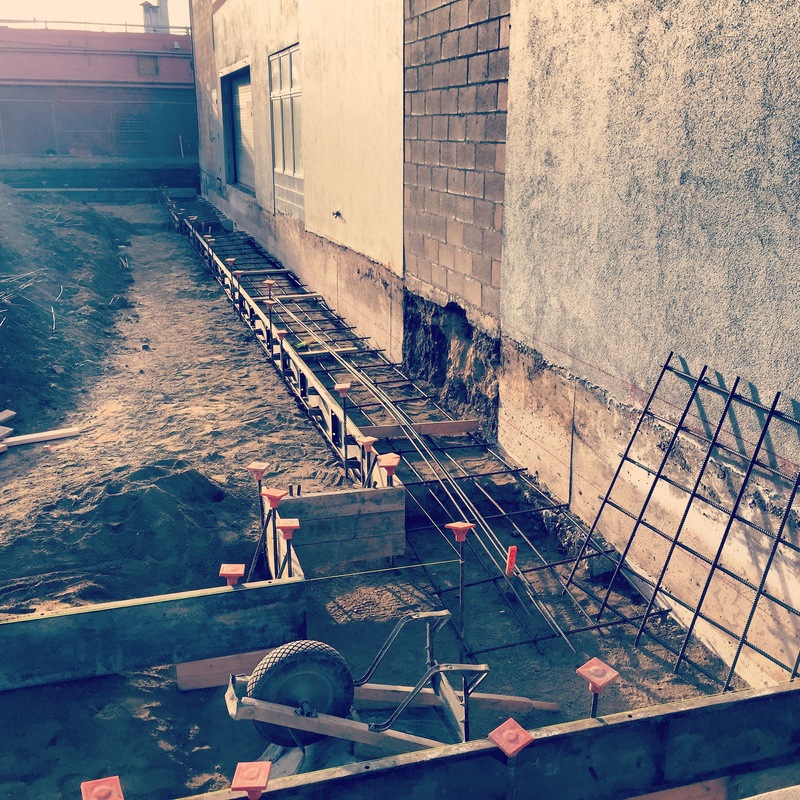 The concrete contractors are on site, forming the foundations, and setting the steel reinformenent.